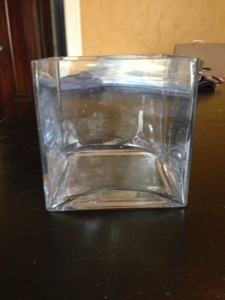 First, buy a square glass vase (less than $4 and available at any craft store or Target), or search around your house for a small bowl or vase you’d like to use. 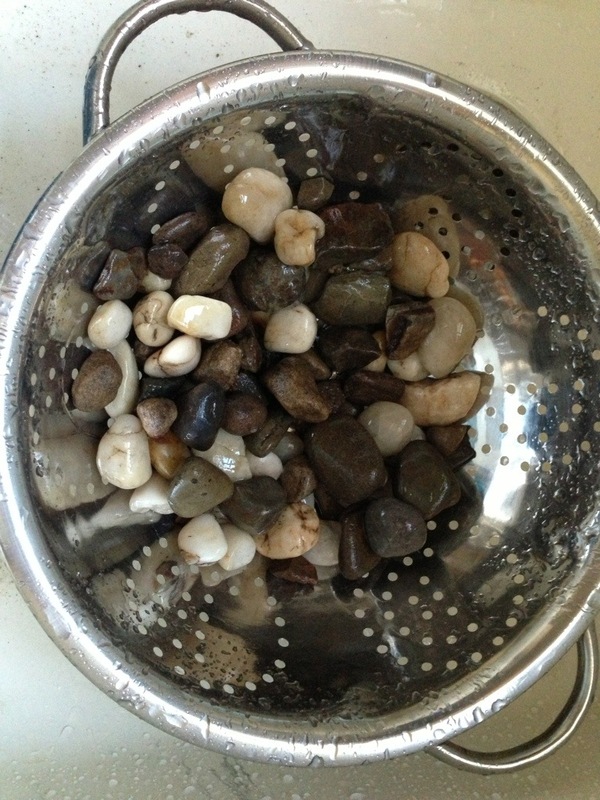 The kids and I went searching around our back yard for some pretty rocks and then washed them in the sink using a colander. Definitely a cheaper option than buying an $8.00 bag from the store and it was a fun thing for us to all do together. You’d be surprised by how much fun the kids had…. 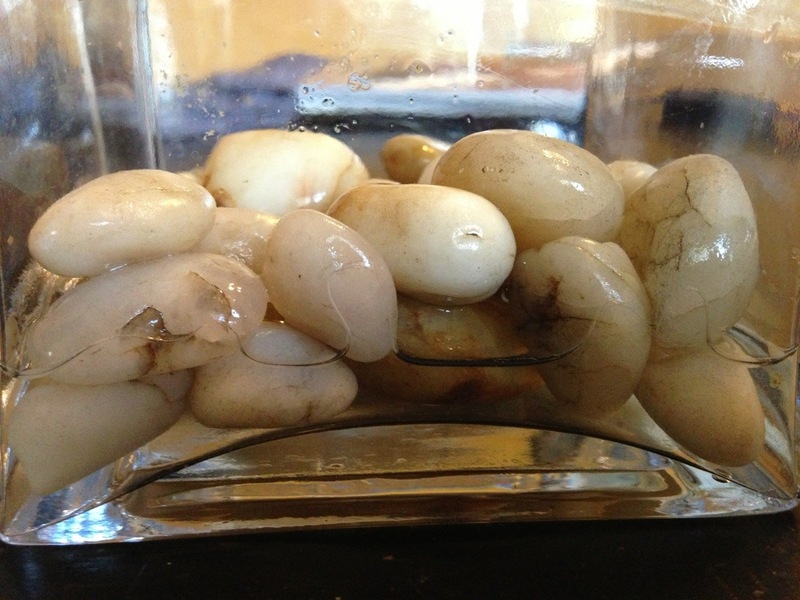 After the rocks were cleaned, we filled our vase with about two layers of rocks (we picked out some of the whiter rocks for this vase), and then we filled the water up to just below the top layer. 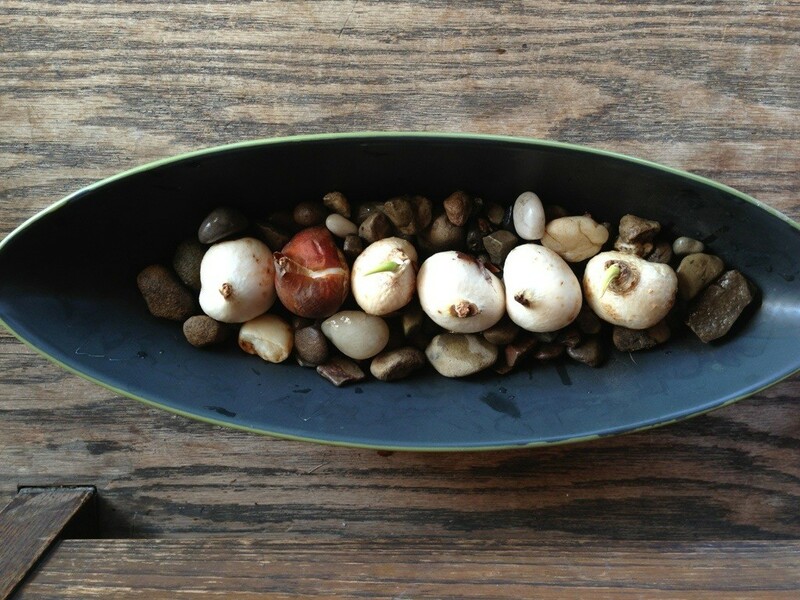 We pushed the bulbs into the first layer of rocks…the rocks keep them above the water line but they also help to stabilize the bulbs as they grow. The bulbs shouldn’t be emersed in water, they should be just low enough to where the bottom of the bulb barely touches the water. And, tadaaaahhh…. you’re done. 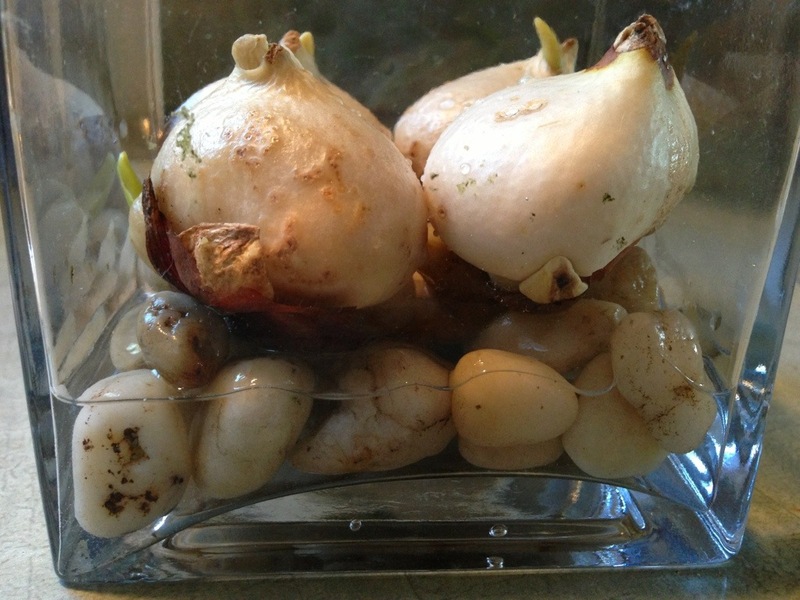 I used several different containers for the remainder of our bulbs and I also chose to plant a few in potting soil. Some have already started to sprout up…can’t wait to see them bloom. Every bulb is different, and I’m no bulb guru…so here are a few resources for planting bulbs indoors and some general tips to keep in mind, regardless of what type of bulb you’re trying to use indoors.